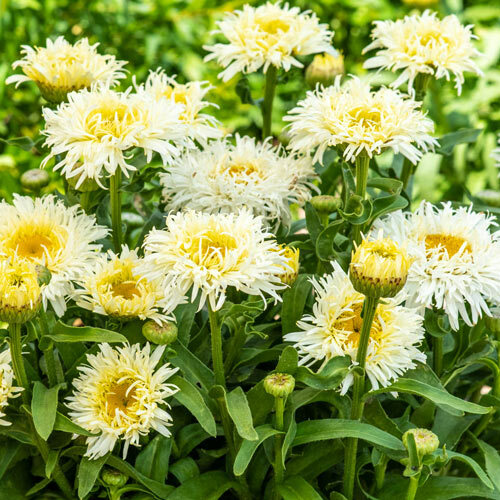 Leucanthemum superbum, or Shasta Daisies, ordinarily look like the beloved daisy wildflower. Their just an easy-to-grow, yet non-invasive, relation. 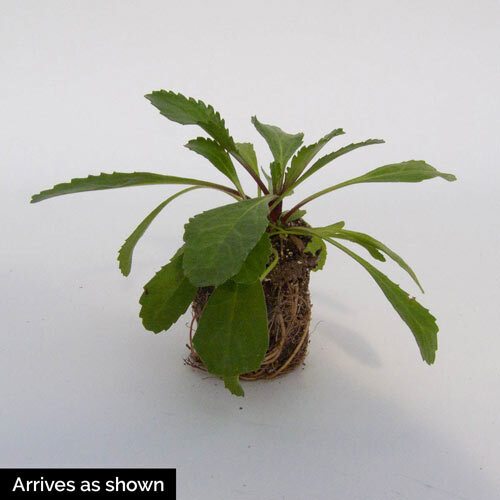 However, this shasta daisy also has the benefit of an unusual, exciting flower form! The petals, like a bunch of coconut flakes, give the flower this fluffy look. 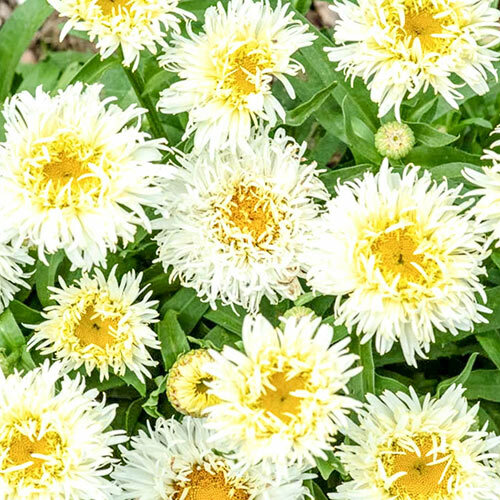 The bloom starts creamy yellow, and as it matures it turns white. Butterflies and other beneficial pollinators love it, and you will too! It's a durable perennial that forms in gorgeous, lush, bloom-packed clumps. Perfect for the border, wildflower garden and you can snip plenty of whimsical cut flowers without making a dent in your garden display. Soil RequirementsAverage, well drained soil. PruningRemove spent flowers to encourage fresh blooms. All season. Additional InformationLasts an extra long time in cut flower arrangements too. Planting InstructionsFull sun is best location, but will tolerate partial shade.